Yubo’s Mother Earth Photo Contest for Kids! Celebrate the planet with yubo’s Mother Earth Photo Contest! In honor of Earth Day, yubo is holding a contest asking eco-conscious kids to submit their favorite/best “Mother Earth” photos. yubo will collect photo submissions and choose a winner based on the guidelines below. yubo will then create faceplates from the winning photos and offer them for sale as Mother Earth faceplate designs (as seen pictured here). 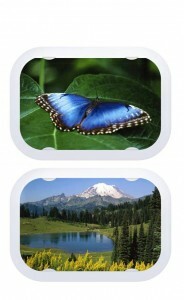 Net profits from the sale of the Mother Earth faceplates will go to the Earth Day Network. Who: Entrants must be under the age of 11 in order to qualify to win. When: Deadline for entry is 4/16/10. 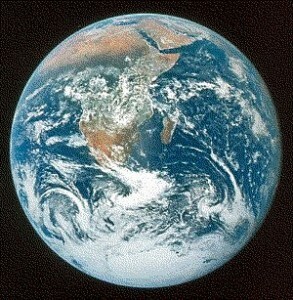 The winner will be chosen and announced on 4/22/10, the 40th anniversary of Earth Day. How: Each entrant MUST submit 2 corresponding original photos (MUST be taken by person entering contest). Become a yubo Facebook Fan and upload the 2 images (see example below) to the yubo Facebook Fan Page. 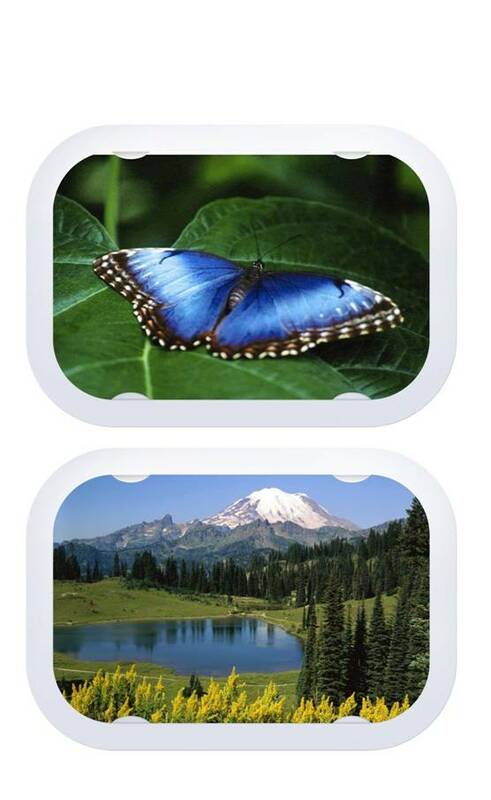 Win: One lucky winner’s photographs will be made in yubo Mother Earth faceplates and will be available for sale on the yubo website (net profits will go to the Earth Day Network). The winner will also receive $50. All entrants to the contest will also receive $10 off any yubo purchase. http://tinygreenmom.com/wp-content/uploads/2018/07/logo-sm.png 0 0 Tiny Green Mom http://tinygreenmom.com/wp-content/uploads/2018/07/logo-sm.png Tiny Green Mom2010-03-31 13:38:092010-03-31 13:38:09Yubo’s Mother Earth Photo Contest for Kids! Today’s fabulous article written by Karen Bantuveris focuses on involving the whole family in honor of Earth Day’s 40th Anniversary by getting out and making a difference! 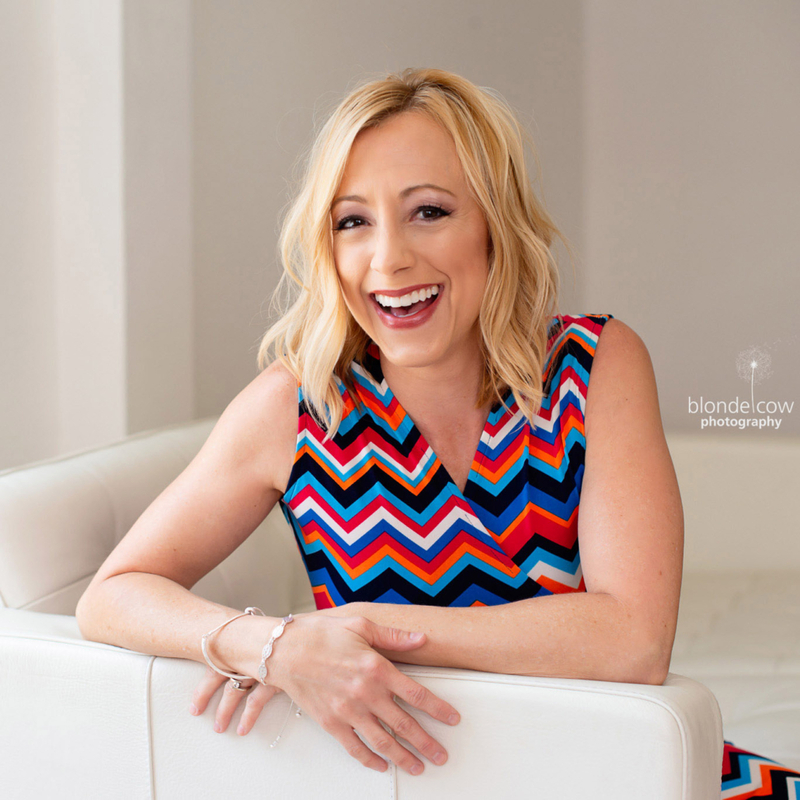 Karen Bantuveris is the CEO and Founder of VolunteerSpot – learn more on her website at www.volunteerspot.com. Go Local! – Choose a project in your neighborhood, school, or township so kids can see the impact of their efforts in their daily lives. You may decide to plant a neighborhood garden, recycle bottles and cans at the soccer fields, or participate in a graffiti removal project at your playground. Give Children a Voice – Involve kids in choosing their projects and initiatives to build commitment and ownership. Younger kids may simply vote for their favorite activity. Engage older children in researching needs and groups active in environmental volunteering in your area. Plan Ahead – Be sure to think it through. What permissions and materials will you need to get started? Will you need ongoing support – for example, how many volunteers will it take to weed and water newly planted beds near the playground? Get Help – If you’ve found a need in your community, like an abandoned lot in need of a serious clean up – invite Scout troops, sports teams, and school service-learning teams to support your efforts. (Many middle schools and high schools now have service-learning requirements where students must participate in a certain number of volunteer hours during the year.) Simple online scheduling and sign up tools like VolunteerSpot make asking for help and coordinating groups super quick and easy (http://www.VolunteerSpot.com). Talk it Up – Volunteering with your children provides a fun and positive family bonding experience and opens the door for meaningful conversations about good earth stewardship, and the importance of giving back locally. 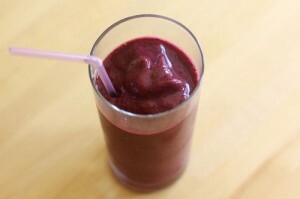 Gotta love this delightful smoothie, packed with antioxidants, found on Cascadian Farm’s website! Blend one up today for breakfast or to help you recharge midway through the day! Place all ingredients in a blender and stir until of desired consistency. Super simple – YUM! 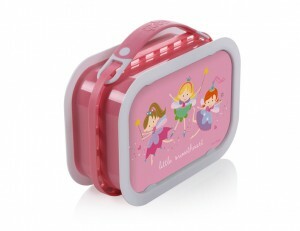 Finally – a lunchbox system that makes both kids and moms happy! This customizable, BPA-free lunchbox by Yubo has got to be one of the coolest lunch boxes available. Featuring interchangeable faceplates for encouraging individual expression and three containers for separating all of the nutritious items packed for lunch, the Yubo is also dishwasher-safe. The containers are anti-microbial, as well, which moms L.O.V.E., and each lunchbox comes with an ice pack that keeps everything chilled. Check out the entire collection online at www.getyubo.com. *Company provided sample and images for this review. From DisneyFamily.com and Catherine Newman comes this super simple soup, packed with goodness and rich with flavor! Serve with warm bread and a salad for a light lunch or dinner! Heat the oil in a soup pot over medium-low heat, then sauté the onion with 1/2 teaspoon salt until it’s translucent but not browning, around 5 minutes. Add the zucchini, garlic, and potatoes, and sauté for another couple of minutes, until the garlic is fragrant and the vegetables are looking a bit less raw. Stir in the broth and raise the heat to bring the soup to a simmer, then turn the heat back down and simmer gently, stirring occasionally, for 20-25 minutes, until the potatoes are very tender. 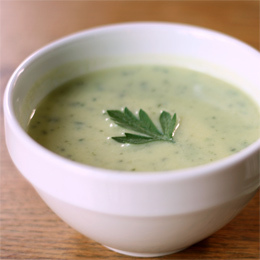 Turn off the heat and whir the soup with a stick blender to puree it (or else cool it and puree it very carefully in the blender), then add the buttermilk, milk, or cream, the other teaspoon of salt, and a few squeezes of lemon juice, and blend a bit more. Taste and re-season as needed, then serve, garnished with herb sprigs or croutons if you desire. Makes 4-6 servings. A Tiny Green Mom favorite! 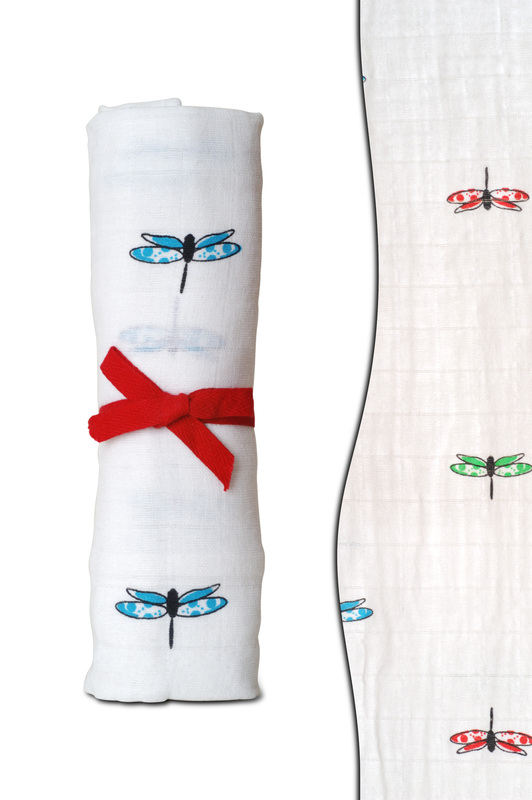 These organic muslin swaddling blankets by aden + anais are simply divine! Light and oh-so-soft, made of breathable organic cotton that was grown free of toxic fertilizers and pesticides, the blanket was designed for sensitive skin. This oversized, versatile piece that rolls up easily can be used not only to swaddle your newborn for comfort and security, but it can be used as a stroller cover or as a blanket for playing in the park or on the beach. The aptly named “Snuggle Bug Organic” swaddler pictured here is just that – perfect for snuggling your little love bug! 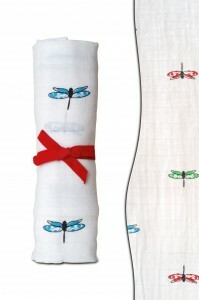 You can find aden + anais products online at www.adenandanais.com. It’s peach season, and what tastes better than a fresh, warm peach crisp right out of the oven? For an easy recipe to make on a lazy Sunday afternoon, head to your local farmer’s market to pick up some fresh peaches, and the rest of the ingredients can be found right in your pantry. 30 minutes later – pure peach bliss! Put peaches in a shallow 2-quart baking dish, and cover with the lemon juice. In a separate bowl, mix flour, oats and brown sugar together. Cut in butter with a pastry blender. 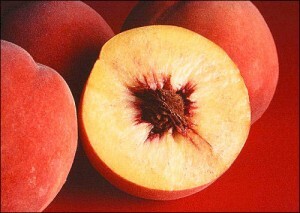 Next, spread the mixture over the peaches and bake at 325 degrees for 30 minutes or until peaches are tender. Serve warm with ice cream, vanilla yogurt, or simply enjoy on its own! Tip: to make removing the skins of the peaches easier, place peaches in a pot of boiling water for 15-20 seconds, remove, and let cool – the skins should slide right off! For parents with very young children, soothing coughs can be tricky, especially if your little one is under the recommended age to take an over-the-counter cough syrup that typically contains alcohol or Dextromethorphan. Even parents whose children are at the recommended age may not want to give an OTC remedy that contains either substance. 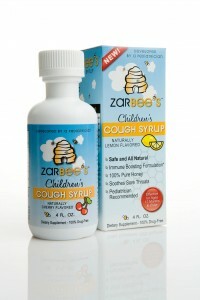 Now there is a natural remedy available for children 12 months of age and older – Zarbee’s Children’s Cough Syrup! Developed by a pediatrician, Zarbee’s is all-natural, and is the safest cough syrup available for young children. In fact, it is the ONLY cough syrup available for children that are 12 months of age. Made with rich, dark honey, which is high in antioxidants, each dosage of Zarbee’s Children’s Cough Syrup provides the recommended daily Vitamin C requirement, too! The best part? It tastes good! No struggle to wash down that medicated aftertaste! For more information on where to purchase Zarbee’s, visit www.zarbees.com/. Today’s tip was written by Nancy Zazzaro, creator of the popular “Monster Spray” and “Storm Squasher” seen on Tiny Green Mom. Nancy uses organic lavender in her special formulation for making Monster Spray and Storm Squasher. 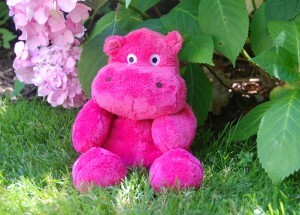 Please visit her website for more information: http://www.etsy.com/shop/zazzaro. Lavender (Lavandula) has been used for centuries. It has been used for everything from food to heal people! It can treat acne, athlete’s foot, and stomach discomfort. 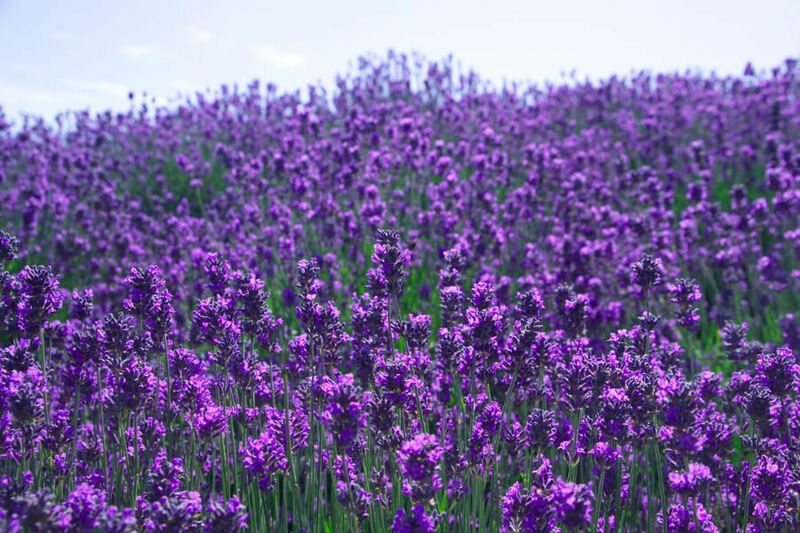 Lavender is superlative as a disinfectant, for migraine or headache relief, to heal burns, and treat insect bites. 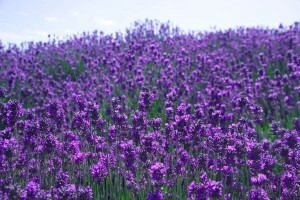 Lavender is exceptional as a fabric freshener and as a repellent for insects. It is often used to treat sore muscles, alleviate respiratory problems, as a relief for sunburns, and of course, to soothe nerves! Because Lavender has antiseptic properties, it makes a great household disinfectant, as well. One of the most popular uses for Lavender essential oil is to induce sleep. The benefits of Lavender have been documented for well over 2000 years! Once you discover Lavender and its multitude of amazing uses, you will wonder how you ever lived without it!